Food and wine are indeed a pleasure of life. Just say the words Champagne, caviar or chocolate and a celebration breaks out. Just like Champagne and caviar, chocolate enhances life. Unlike the other two, chocolate is a hugely popular food and an ingredient that is particularly sought after for its particular flavor. For centuries people have coaxed the diverse flavor elements found in chocolate out to enjoy alone or in harmony with herbs, spices and even bacon. Forté Chocolates has been working this magic through chocolates and confections since 2006. 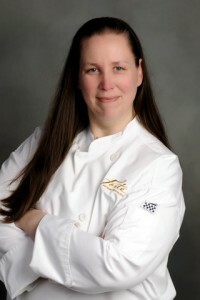 With a kitchen and retail shop in Mount Vernon, and another retail shop in Bellingham’s historic Fairhaven, Forté’s Master Chocolatier and owner, Karen Neugebauer, is a leader in the artisanal chocolate movement. Her small batch, handmade works of art come about through meticulous attention to quality. Neugebauer’s hallmark is her expert skill at tempering chocolate entirely by hand. She has been dubbed “The Tempering Queen” by her peers. Tempering is required to craft chocolate as it cools for optimal quality to ensure optimal sheen on the chocolate, the crisp snap of freshness and the best chocolate flavor. This process can be done by a machine, but to do so by hand is a skill that takes extraordinary patience and practice. Rebounding from a debilitating injury, Karen decided to do something for herself. She had learned candy-making as a child from her father. Since her husband was a chocoholic, she elected to enter the Pastry Program at the Seattle Art Institute. 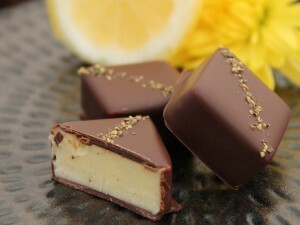 It was during her first experience with chocolate that she fell in love with the transformation process of tempering. Toward the end of her schooling, she created a sculpture that won bronze from the American Culinary Federation. In addition to tempering by hand, Chef Neugebauer also has a knack for flavor combinations that range from traditional to cutting edge. Using spice blends, organic herbs and honey Forté Chocolates takes foodies on global adventurers punctuating the chocolatier’s astonishing breadth. Even classic, traditional chocolate bars are creatively stretched by Neugebauer’s imagination. The Forté line is exquisite and traditional with pure chocolate bars and the classics such as dark chocolate with orange and espresso in white chocolate. The Gusto line of bars is a culinary dream with enticing chocolate combinations including bacon, Balsamic Vinegar, Fireweed Honey, Lemon & Pepper and Rosemary & Sea Salt. In addition to the line of bars, Forté handcrafts a full line of truffles, including the favorite Cherry Almond, and creative caramels along with offering sugar and chocolate sculptures. All this hard work has resulted in more than 100 Gold and Silver awards in the last five years. Forté’s Rosemary Caramel recently took an International Gold from the Academy of Chocolate and Orange Jazz received an International Silver from the International Chocolate Awards. Come sample Forté’s delights at the Seattle Wine and Food Experience Sunday, February 21. There will be a limited supply available, pre-orders will be taken. As a special treat Forté will be showcasing their prized Fortunato No.4 bar. This select bar, crafted from and exotic cacao long thought to be extinct, has been rediscovered in the Peruvian jungles. Forté is one of the few elite chocolate companies in the world entrusted to work with the rare ingredient.